Fox News: “Global Warming” versus “Climate Change”. Climate Change or Global Warming? Both. I haven’t mocked Fox News in a while—it’s so easy it seems almost cruel—but this compendium of dumbosity spewed by that channel needs to be seen to be disbelieved. The moment I saw the first few seconds I was chuckling ruefully. I’ve known for years that the term “climate change” was in fact promoted by Republican strategist Frank Luntz, who suggested using it because it’s less “frightening” then saying “global warming”*. But as usual, facts won’t stop the talking heads at Fox News, who claim it’s a liberal term. I like how Media Matters (who created the video) put the actual clip with Luntz in at the end. Some news channels just want to watch the world burn. Ironically, Luntz has a point, though not the one he meant to make. 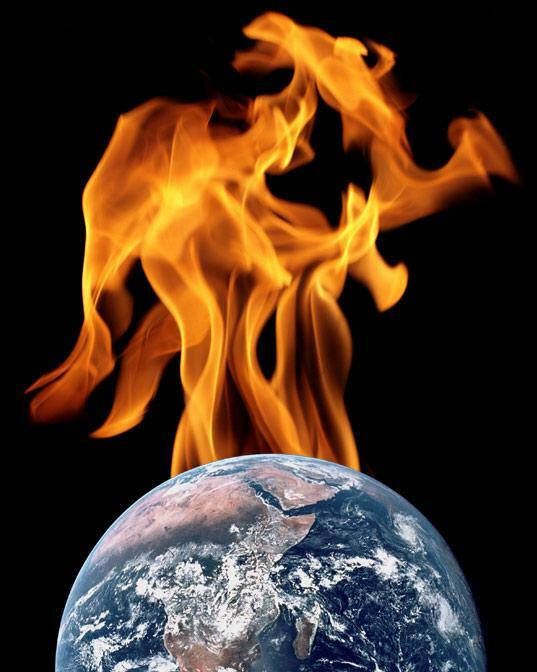 The increase in heat trapped by greenhouse gases in the Earth’s atmosphere doesn’t just make things hotter. It changes weather patterns, and can create droughts in one place and flooding in another. Over a long enough time, it will in fact change the climate, so the term is actually correct. The cavalcade of nonsense continues in that video, with several claims that the Earth is cooling—errr, no, it’s not—and more. The one that always gets me is how deniers somehow think that global warming means no more cold weather and no more snow. Ironically, global warming can increase snowfall, because warmer air can hold more moisture. The average temperatures are increasing, but it still gets cold in winter, so we still get snow, and in some places there’s more snow to fall. This whole thing with Fox would be funny if it weren’t so damaging. A lot of people only watch Fox News, and while it’s easy to mock Fox for being so reality-deficient, so clearly wrong so often, the fact is for millions of people Fox is their sole news source. There’s not much that can be done to stop the stream of falsehoods from Fox News, but at least we can try to raise awareness on the side of reality. The more folks who know the truth, the better. Tip o’ the (rapidly rising) thermometer to DeSmogBlog. *Correction (Apr. 28 at 16:45 UTC): I originally wrote that Luntz coined the term “climate change”, but the term was apparently first used in a 1975 paper by geochemist Wallace Broecker. Luntz heavily promoted the term for the reasons given above. My thanks to Ceth Eslick on Twitter for the correction.